So not worth it. I'm phi beta kappa, and tested at 87....honestly. For some reason I thought IQ tests measured mental process, not acquired knowledge. Pretty interesting and fun. Reviews missed answers so you know how to come to the right answer. Dead on with some of the lengthy more formal tests out there. Highly recommend this app. Despite the fact that I've slipped 7 points since 1981, this was a fair testing modality. My ego bruised, but it was cool all the same considering I DON'T BELIEVE IN IQ TESTING...but at least this one was the real deal. To start, it is a good app. The issue is that it should allow the user to better themselves within the categories that he/she is weak at. It also should teach the user. If you take the exam once, the same set of questions will be asked when you take it again. It shouldn't give you the same exacted questions. For example; there should be like 700 total questions if not more, covering 7 categories, 100 per category. 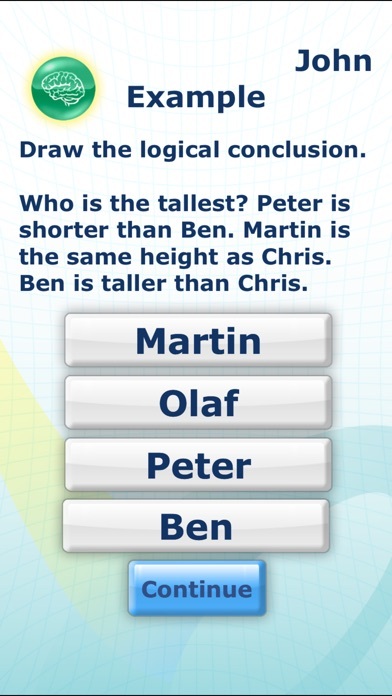 And each time you take it would constantly change the question, and also give you the option to study per category. It was amusing and decently accurate. I've tried other IQ tests before and this is truly the best. It tests you on all aspects of the mind! I love it! A must buy if you have always been wondering what your IQ is. It's great at self evaluating on an amateur level. Great way to use idle time while building on something. Very interesting. Have never seen an IQ test & the questions were very different from what I expected. It was fun & challenging! I think this is a well designed test and the layout is nice. Though there is a glitch with the results page and I can't see my previous scores, but that will probably be fixed after this is posted. Well made and well-designed app. 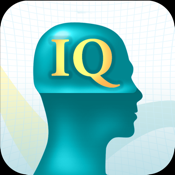 At first I was a little peeved that this relatively expensive app only included one IQ test. But my roommate, who's studying psychology, explained to me that you can't get an accurate result when you take another test that's similar to one you already took, so that actually makes sense, I'd even say it's a sign that this is a serious IQ test. 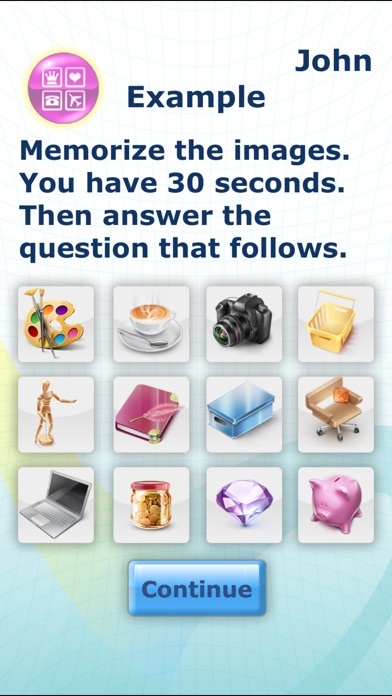 Unlike other iPhone (or really, most popular "do-it-yourself") IQ tests which focus solely on one area or another, this one gives questions in all areas intelligence must be measured in. Obviously, this cannot take the place of a legitimate psychiatrist, but it does give a good ballpark image of the user's IQ. For example, taking into account test deviance, my own was reported by psychiatrists as between 148 and 153, and this test reported 144 (though I understand it does not test past 145). This is less than one-half a standard deviation's difference (the standard deviation of IQs is 15), which makes this test, in my experiences, a relatively decent measure. A note of warning, though - knowing your own IQ changes nothing in your life. You're just as smart as you were before you knew. I enjoyed this... Plus it says I'm really smart! You can only take the test once yourself :( but I'm having fun testing all my pals. We all think it's a pretty good app. 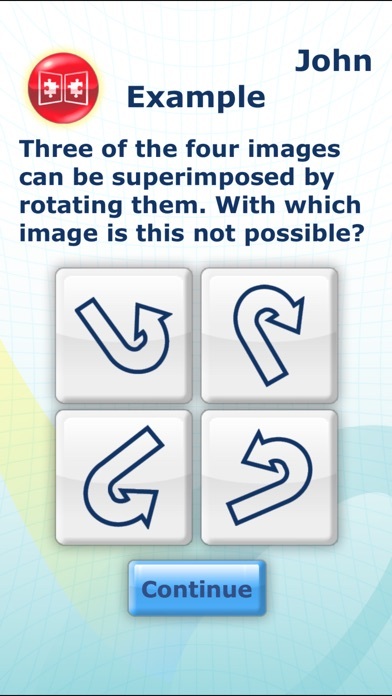 Fun and challenging app. I have never had chance to take an iq test so it was interesting to see questions and score. The interface is simple and responsive. 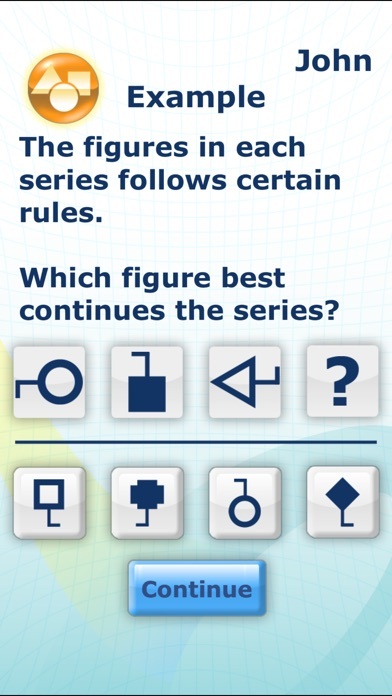 The question sections are timed and the test moves along easily. One point off from professional test! Save yourself $1.99 - get yourself a cup of coffee. This test is not accurate. The speed makes one prone to accidents. 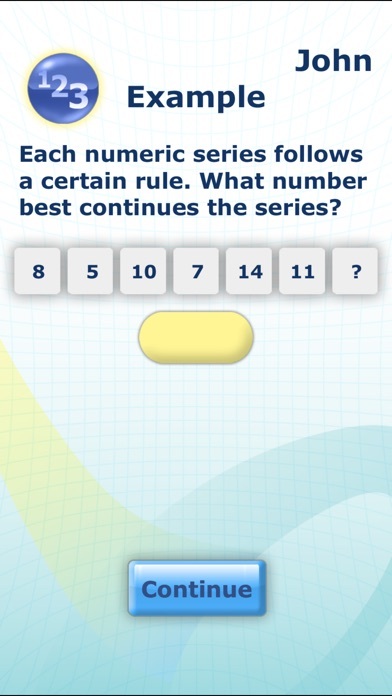 This test has very strict time limits for certain parts of the test such as the problem solving, logic problems, and the spatial reasoning sections. The correct answers to the questions in the "technical reasoning" section are questionable especially the one about the scissors and the gears. Some of the odd one out questions can have multiple answers depending on how you define the words... Same with the analogies.. I do not think these questions were well developed nor are there enough for each section to be all that reliable and produce accurate results... Scored a 117 the first time and 125 the 2nd... Don't know how me getting 4 hours of sleep plays into that, but on one other IQ test that was actually developed by a psychologist in a book I scored a 132... Not sure how reliable the claims of this app are.